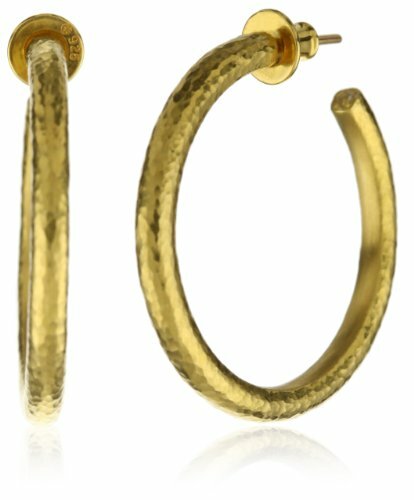 Go for the understated beauty of 24k textured gold with the GURHAN "Constellation" High Karat Gold Hoop Post Earrings. 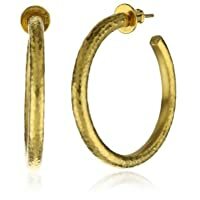 These unique hoops feature a hammered texture for an antique feel. A post fastener allows for easy on/off.